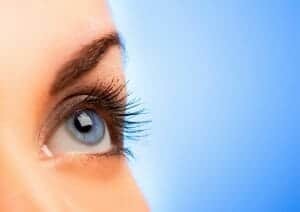 If you have presbyopia or hyperopia (a.k.a., farsightedness), but you are hesitant to undergo laser vision correction with LASIK, you should consider a procedure known as clear lens extraction. During the procedure, the eye’s natural lens is replaced with a synthetic lens to restore sharper focus. This often reduces the need to wear reading glasses or bifocals, and eliminates the need for future cataract surgery. Clear lens extraction is available at Schwartz Laser Eye Center with Dr. Jay Schwartz. Am I a Candidate for Clear Lens Extraction? Clear lens extraction is a procedure almost identical to cataract surgery. It typically takes about 15 minutes and is performed on an outpatient basis, so you can return home the day of your procedure. Each eye is typically treated separately, about a week apart. Your eyes will be numbed with eyedrops for your complete comfort. A small incision is created in the eye to access the capsule that holds the lens. The lens is broken up into small pieces and the pieces are removed from the eye. Once all of the pieces have been removed, a foldable intraocular lens (IOL) is inserted into the lens capsule and carefully positioned. Then, the incision is closed. Once in place, the lens is not visible to the naked eye. It is designed to last for the rest of your life. Since it is not affected by age-related changes, the chances of losing its corrective effect over time are very slim. After surgery, you must go home and sleep or relax for the rest of the day. Avoid doing anything to strain your eyes, including reading, watching television or using the computer. Typically patients notice rapid visual improvement almost immediately after the procedure. Most patients are able to reduce their dependence on reading glasses, unless they opt for a monofocal IOL that provides clear focus at one distance. Also, having clear lens extraction eliminates the need for future cataract surgery, since the artificial lens cannot become clouded like an aging natural lens. To learn more about clear lens extraction and whether it is right for you, please contact Schwartz Laser Eye Center and request a consultation. Call us at 480-483-EYES (3937) or 888-553-EYES, or email us today.